Soak the dried mushrooms in the boiling water for 15 minutes. Strain, reserving the liquid, and finely slice the mushrooms. Set aside. Heat a large saucepan over medium heat. Cook the oil, butter, leek and garlic for 6 minutes or until soft and golden. Add the rice and cook, stirring to coat the grains, for 2–3 minutes or until translucent. While the rice is cooking, place the stock, wine and porcini liquid in a saucepan over medium heat. Cover and bring to a slow simmer. When the rice is translucent, add the stock mixture 1 cup at a time, stirring continuously until each cup of stock is absorbed and the rice is al dente (around 25–30 minutes). 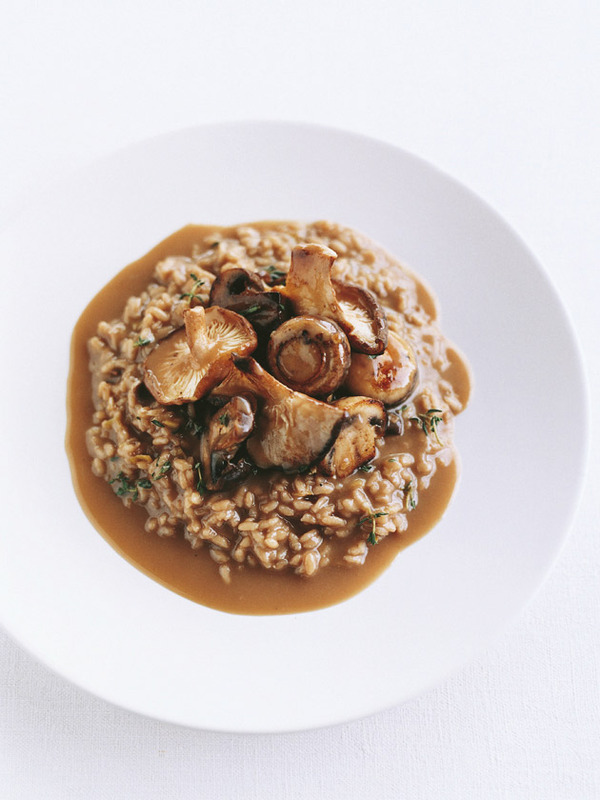 While the risotto is cooking, cut any of the larger fresh mushrooms in half or in thick slices. Heat the extra oil in a frying pan over medium heat and cook the mushrooms for 4–5 minutes or until tender and golden. To serve, stir the mushrooms, salt, pepper and parsley through the risotto. Sprinkle with parmesan cheese if desired and serve immediately. Serves 4.